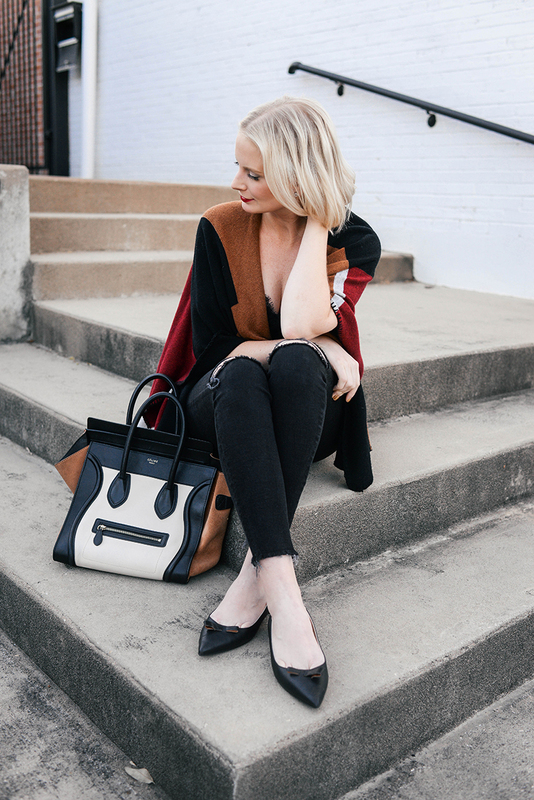 THANK YOU TO SHOPSTYLE & SARAH FLINT FOR SPONSORING THIS POST! If you’re just now learning of my obsession with the royals, you likely have been hiding under a rock. I actually love them all, but last month I launched a new fashion site dedicated to recreating Meghan Markle’s royal outfits at a variety of price points! It’s been SO much fun putting her looks together for you guys to shop and hearing about which looks you love, your take on royal gossip and more. Now that Meghan and Prince Harry’s first official royal tour as a couple is over, I’m looking forward to expanding the content to include spotlights on her favorite designers, her go-to beauty products, and more! I also plan on featuring some of Duchess Kate’s looks too, but that’s a conversation for another time. One thing we know about Meghan? Girl LOVES her shoes and seems to favor just a few brands – she tends to repeat her favorite shoes a lot, which is one of the many things that makes her relatable and fun to follow. One of those shoe designers she can’t seem to stop wearing is Sarah Flint. Meghan has been wearing this New York-based label for a long, long time. Even prior to meeting Prince Harry! In the last year we’ve seen her in four different Sarah Flint styles, including the Grear sandals she wore on Fraser Island, the Jay pump she wore to the Invictus Games on the royal tour, the Perfect pump she wore in Ireland in August and on an engagement with the Queen in June, AND the Natalie flat, which she wore to the Invictus Games last year on her first appearance with Prince Harry. Due to the well-known #MarkleEffect, each of these styles have sold out each time they’ve been restocked! I’ve been dying to get my hands on a pair, so when the Natalie flat came back in stock again in my size I jumped at the chance. 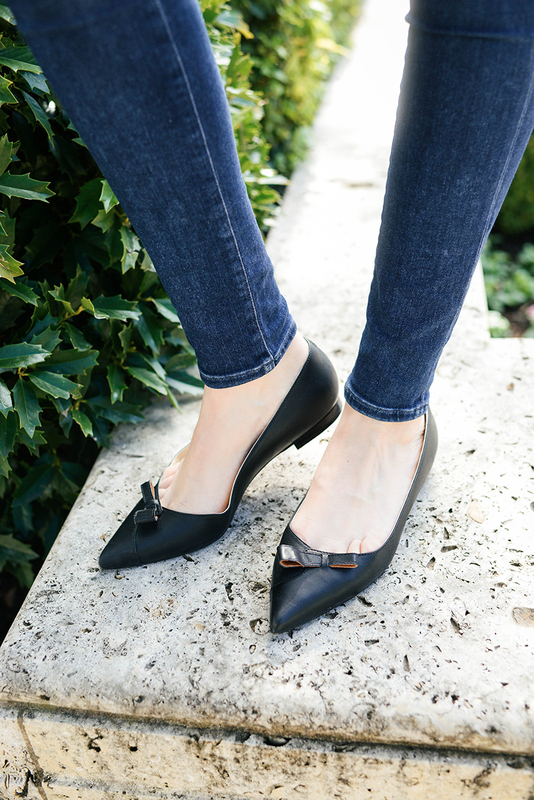 These beautiful flats feature a sleek pointed toe and a subtle bow detail that adds just the right feminine touch. 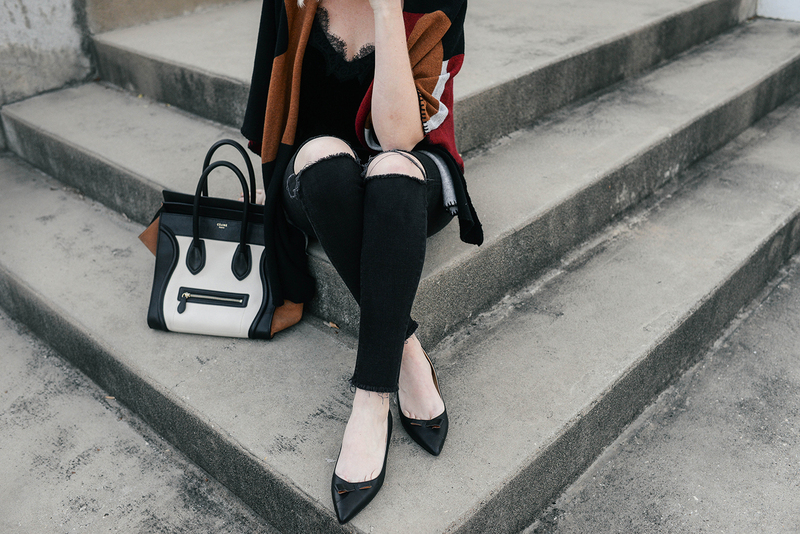 I figured black would be really useful in my wardrobe, but I’m also thinking of snagging them in gold – such a pretty year-round neutral, don’t you think? They also come in Saddle (the color Meghan wore) and red (perfect for the holidays)! They’re a useful silhouette, one you can easily transition from the office to the weekend. 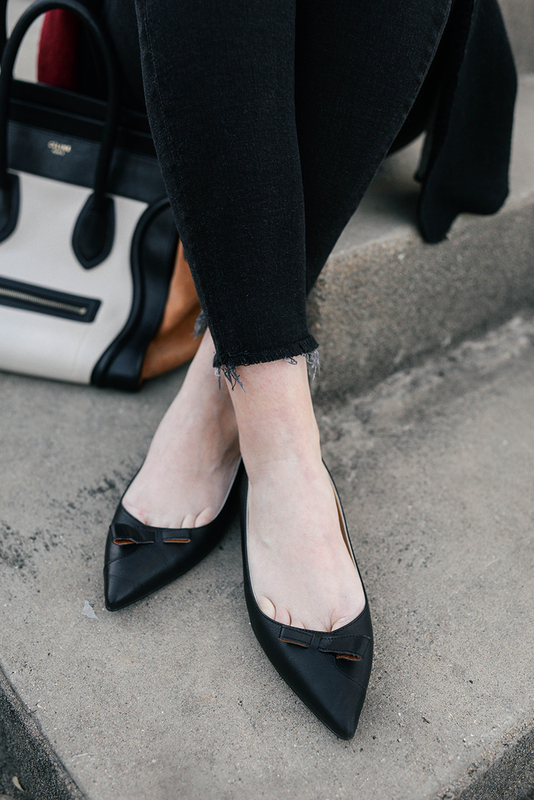 Whether you pair it with distressed denim like Meghan did or with tailored pants to the office, these leather flats will keep you comfortable and stylish all day! In addition to restocking the Natalie flat, Sarah Flint recently restocked the very popular Grear sandal and the Perfect pump!!! I also have it on good authority the Jay pump is going to be restocked in the next couple of weeks… You can add your email to their wish list to be notified when your size is back in stock! I may or may not have also gotten the Grear sandal for my upcoming trip to the BVI’s after the new year… What can I say, I’ve been influenced!! I must live under a rock, because I’ve never heard of Sarah Flint! Thank you for bringing them to my attention, I’m eyeing the Perfect Pump. Do you have any tips on sizing? I know some designers run small. Also, have you tried the Perfect Pump? I’m looking for a comfortable heel; I’m wondering how comfortable they are. Thanks!